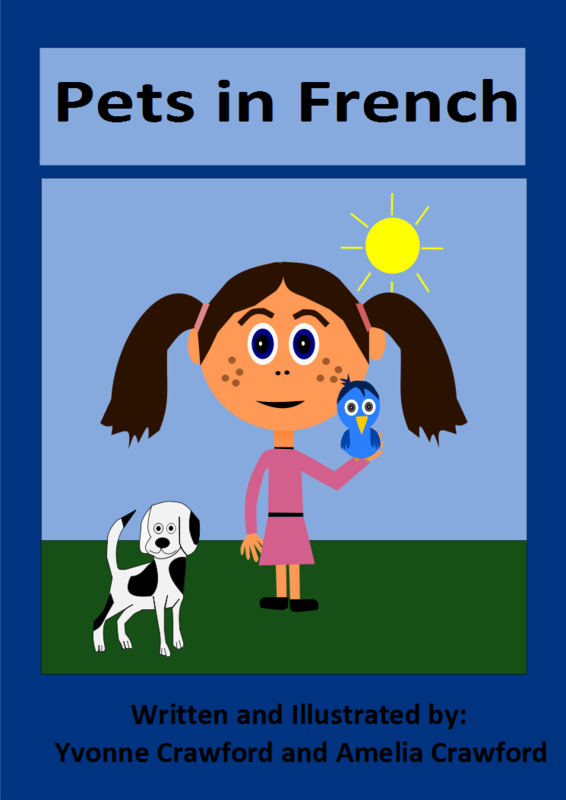 Pets in French is the 8th volume in a booklet series to help chidren learn French. 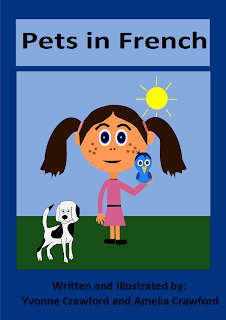 This volume will focus on pets in French. There are separate pages for each of the pets. Each page has colorful graphics to help your children remember these names in French. Also included are: a summary page, 4 worksheets,6 copywork pages, a bingo game, a matching game and a completion certificate. There is also a pronuciation guide for the French text to help your children. 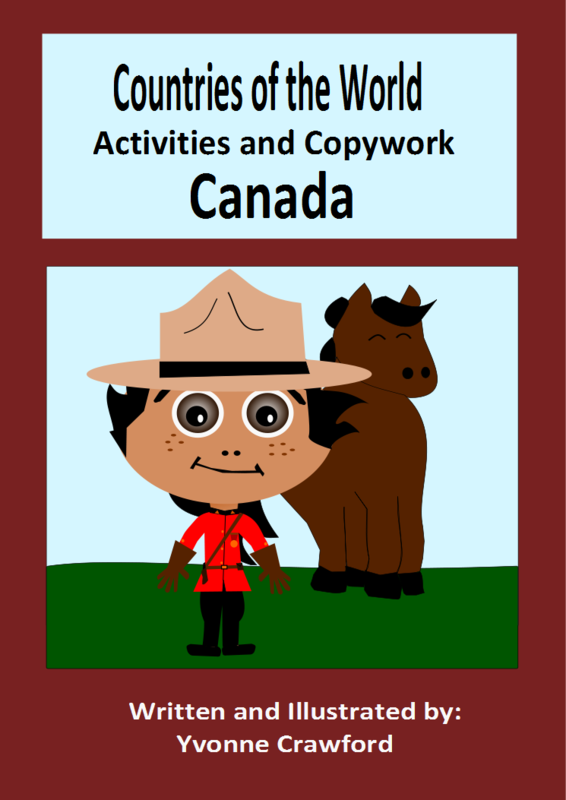 Welcome to the 4th volume of Countries of the World – Activities and Copywork. This booklet focuses on the country of Canada. Your child will learn facts about Canada while practicing their manuscript and cursive handwriting and engaging in fun activities. 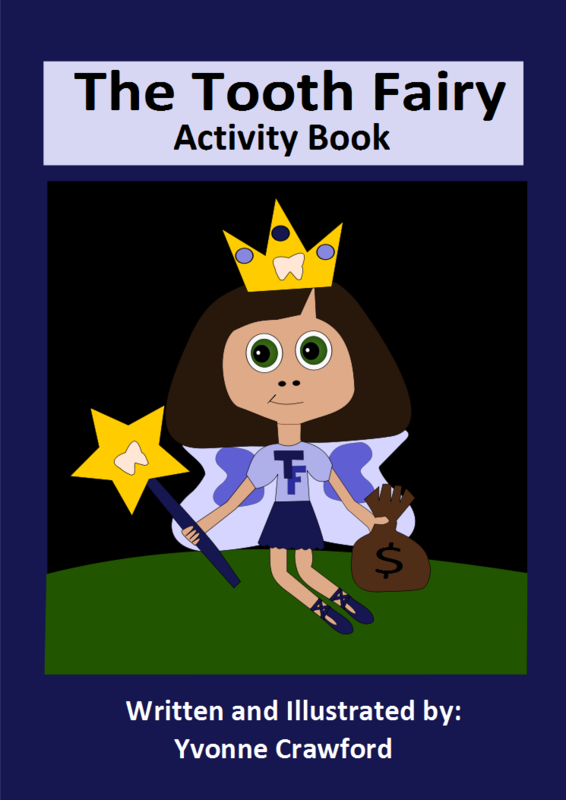 Your child will begin this booklet by cutting out a passport stamp and pasting it on a passport that will also be emailed to you. Farm Animals in French is the 7th volume in a booklet series to help chidren learn French. 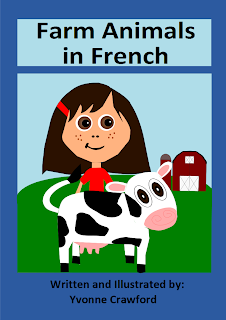 This volume will focus on farm animals’ names in French. Also the verb ‘to like’ will be introduced. There are separate pages for each of the farm animals. 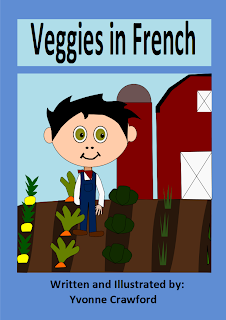 Each page has colorful graphics to help your children remember these names in French. Also included are: a summary page, 4 worksheets, 4 copywork pages, a bingo game and a completion certificate. There is also a pronuciation guide for the French text to help your children. 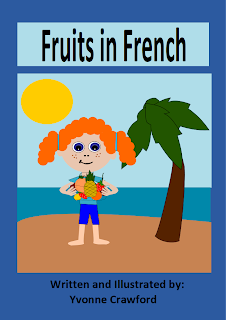 Fruits in French is the 5th volume in a booklet series to help chidren learn French. This volume will focus on fruit names in French and the verb to want (vouloir). There are separate pages for each of the fruits. 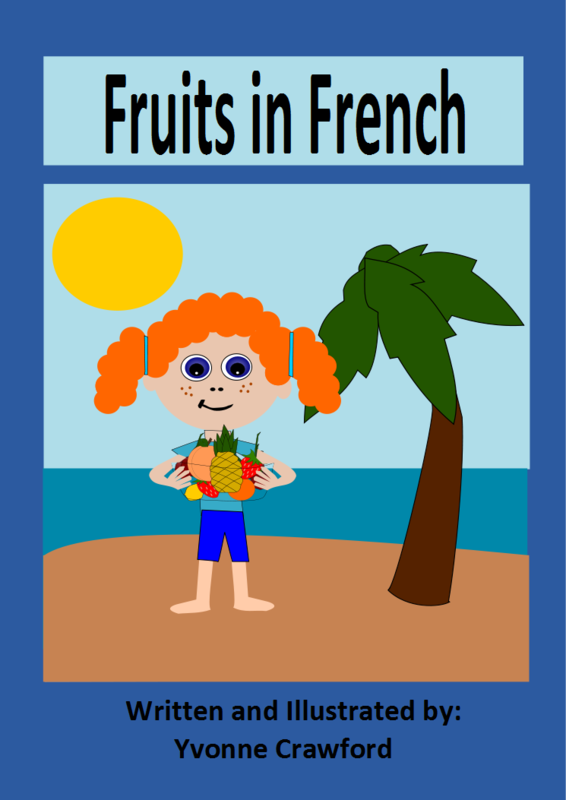 Each page has colorful graphics to help your children remember these fruit names in French. Also included are: a 2 summary pages, 2 worksheets, 3 copywork pages, a matching game and a completion certificate. There is also a pronuciation guide for the French text to help your children. If you’d like to purchase this for 2 dollars, then click the button below and it will be emailed to you shortly. 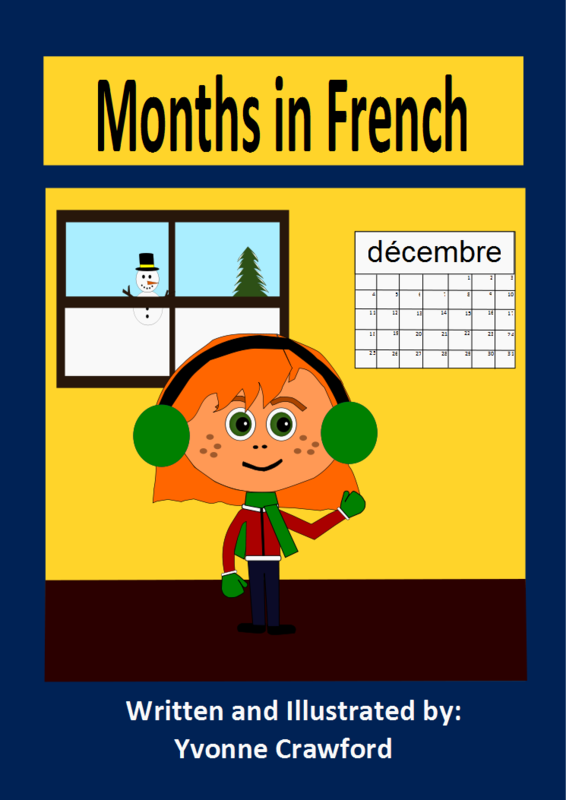 Months in French is the fourth volume in a booklet series to help chidren learn French. This volume focuses on months of the calendar in French. There are separate pages for each of the months. 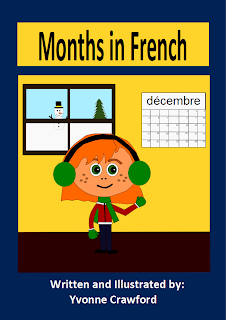 Each page has colorful graphics to help your children remember these months in French. Also included are: a summary page, 3 worksheets, 2 copywork pages, a matching game and a completion certificate. There is also a pronuciation guide for the French text to help your children. If you’d like to buy it for 2 dollars, please click the button below and it will be emailed to you shortly.